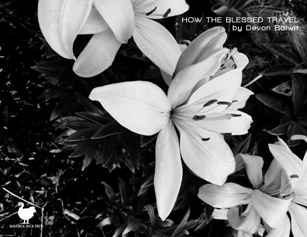 Devon Balwit - "How The Blessed Travel"
Devon Balwit is a teacher and writer from in Portland, OR. She has two chapbooks forthcoming in 2017: 'how the blessed travel,' from Maverick Duck Press, and 'Forms Most Marvelous,' from dancing girl press. Her recent work has found many homes, among them: The Cincinnati Review, Red Earth Review, Noble/Gas Quarterly, Peacock Review, Sweet, The Stillwater Review, Oyez, Timberline Review, Prachya Review, The Bookends Review, and Kindred.